Coming in at less than $10 for hundreds, dryer sheets are an incredibly inexpensive household good. But do you know about the many uses for dryer sheets beyond making your laundry softer and smelling fresh? We scoured the internet, and Apartment Therapy, Real Simple, All You and Curbly offered a bunch of ways to use dryer sheets aside from in your dryer. Some are pretty obvious alternative uses, while others are more impressive hacks. Next time you’re getting ready to do laundry, save a few sheets to try out some of these 12 ideas yourself — or wait until they’ve gone through the dryer cycle. 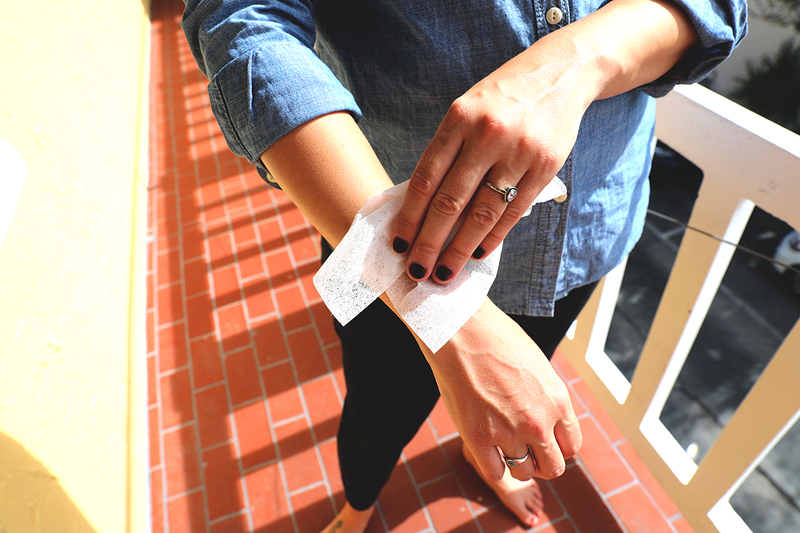 Some of these tips work best with used dryer sheets! Wipe a dryer sheet across your window blinds and furniture surfaces, as well as your television, laptop and other electronic appliances. Curbly suggests dusting with used sheets. Dryer sheets come in all kinds of scents, from fresh linen to lavender to multiple versions of floral. Stick a sheet in smelly spaces — like your gym bag, laundry hamper, trash bin, diaper bag or even your car — to keep things smelling fresh. If your cat or dog sheds all over their bedding, you and your furniture, use a dryer sheet to wipe away stray hairs. If your body seems to generate a lot of static electricity, wipe your hair and clothing with a dryer sheet to reduce that pesky problem. Apartment Therapy recommends using a used dryer sheet. To get rid of gunky build up on your iron, Real Simple advises turning your iron to a low setting and rubbing it over a dryer sheet until the residue is gone. Skip the sprays, plug-ins and candles! Curbly suggests you tape a dryer sheet to your air vents — or to ceiling or portable fans — to keep the air circulating in your home smelling fresh. Keep chrome items — like plumbing fixtures or tire rims — looking shiny by polishing them with a dryer sheet. Keep thread from tangling up while sewing by rubbing it with a dryer sheet, Apartment Therapy recommends. The scent of dryer sheets may keep some pesky insects away. Apartment Therapy says to stick a used sheet in your belt loop. All You says to place dryer sheets in the corners of rooms or wherever spider webs tend to crop up. Curbly says to place them under lawn furniture or even rub them right on your skin. Though we think dryer sheets smell good, mice, rats, squirrels and other rodents may be turned off from hiding in your basements, attics and garages if dryer sheets are there. Apartment Therapy suggests clogging up any holes where rodents could gain entry to your home with a used sheet. All You suggests removing stuck-on food from pots and pans by putting a dryer sheet in the dish and soaking it in water overnight for easy cleaning the next morning. This six-pack of microfiber cleaning cloths for glasses is currently on sale for $8.98 on Amazon. Use dryer sheets to wipe smudges off your glasses instead, and you could have more than 200 additional cleaning cloths for about the same price. Nicole Dow is a staff writer at The Penny Hoarder. She doesn’t always buy dryer sheets, but when she does, she buys the unscented kind.